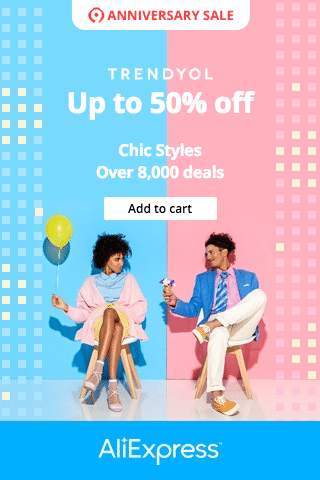 One of the most widely known online shopping websites in the world today is AliExpress. They have a variety of products to allure the customers. One of the trending products are actually Home Automation items. The Chinese home automation products are in craze and people are willing to buy them to make their house more stylish and convenient to access. You can get these products at a reasonable rate from AliExpress, and the store which provides the best among the lot are Zemismart. They are always researching for the development purpose of your smart homes. The smart systems which they manage are Amazon control system, Zigbee control system, Geeklink control system, Broadlink control system, and Google home control system. The things which they sell are keeping the mind every possible need of a customer. Now, here we are going discuss the top 3 product ranges of Zemismart. They are Smart Electric Curtain, Smart Switch & Socket, and Smart Light. Let’s take a look at these products. You will get different products and features under this section. They are Curtain Motor, Tube and Guide-way, Remote & Receiver, and customization. Curtain Motor: Who doesn’t like lovely curtains at home or office, which can be controlled with a remote control? Zemismart brings such curtain motors for you at an affordable cost. The best among the lot is ‘Automatic Electric Roller Blinds Shutters Curtain Motor RF433’. You can get the product from Aliexpress at a price of $65 to $135 per piece. Tube and Guide-way: The Tube and Guide-way for the curtains can be found here too at Aliexpress and Zemismart store. 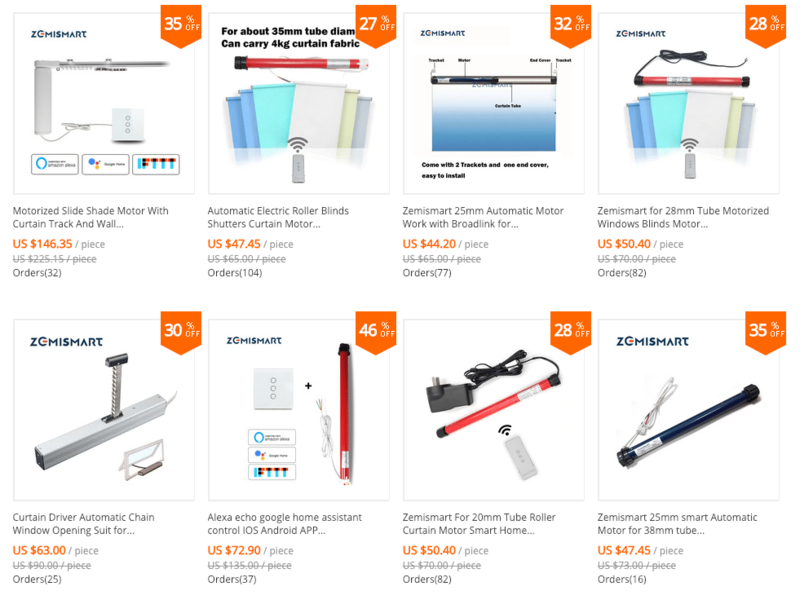 Right now there are a couple of products available for the section, ‘Zemismart customized Control Electric Curtain Motor With Tubular Aluminum Chute Suit for Roller Shutters Smart Home’ and ‘Customizable Roller Curtain Tube Tubular Aluminum Tube 38mm 20mm Diameter Suit for Electric Roller Blind.’ You can get them at a price of $15 and $16 respectively. Remote & Receiver: You can buy the receiver and remotes for the electric curtain here. Among the remotes, you can buy the ‘RF433 MHz 15 Channels Electric curtain motor wireless remote control’, which will cost you $15 and among receivers, the best is ‘Curtain Remote controller electric curtain Receiver One Channel with Remote Control.’ It will cost you $12. Customization: Customization products are available here too like ‘Motorized Slide Shade Motor with Curtain Track and Wall Switch Support Voice Control by Alexa Google Home Customized App Control.’ You can get it within a price range of $164.36 to $263.30. Under this product range, you will find products like a bulb, LED strip, Ceiling Light, Downlight, and Lamp. Bulb: There are many bulbs here with brilliant features. 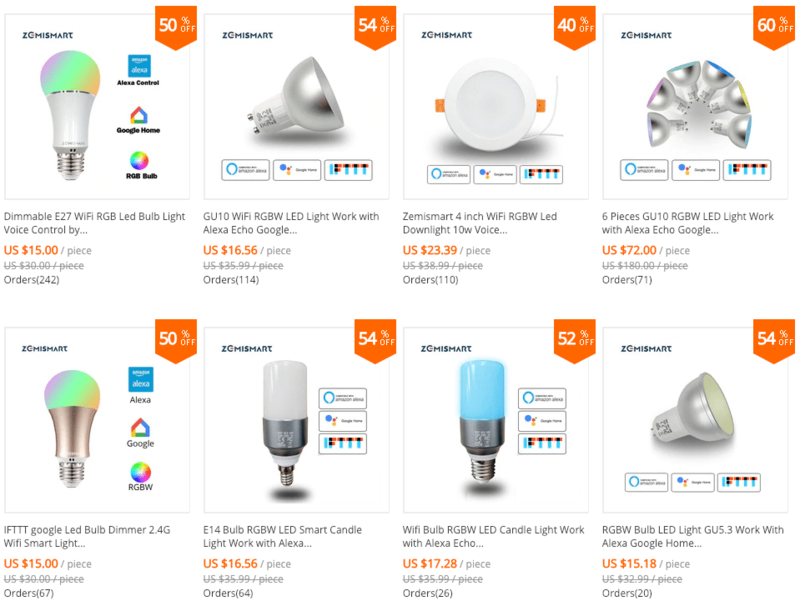 Some of the names are ‘E14 Bulb RGBW LED Smart Candle Light Work with Alexa Echo Google Home Assistance IFTTT Voice WIFI Timer Control Lamp’, ‘Dimmable E27 WiFi RGB Led Bulb Light Voice Control by Alexa Echo Google Home 2.4G WiFi Control by APP’, etc. LED strip: The LED strip which is most frequently bought from here is ‘Zemismart RGBW LED Light Strip Work with Alexa Echo Google Home IFTTT Wifi Support up to 6m Waterproof Timer Voice Control’. The price of the products is $36. Ceiling Light: Ceiling lights are really on demand these days. The best you can get from Zemismart is ‘IR wifi APP Remote Control Led Ceiling Lamp Work with Alexa Echo Dot Show Plus Multi Color Changing and Dimmable Led Light’ at a price of $64.80. Downlight: A downlight and that too with voice control. Sounds really cool. You can get this feature in ‘Zemismart 4 inch WiFi RGBW Led Downlight 10w Voice Control Alexa Echo Dot Spot Show Google Home Assistant IFTTT Home Automation’. It will cost you only $23.39. Lamp: Christmas is coming, so the demand for lamps will be high too. You can check out some of the best products from Zemismart like ‘Dimmable WiFi RGBCW LED Ambient Night Light Voice Control by Alexa Echo Google Home mini Control by APP Children Lamp’ and ‘Christmas Gift LED Touch Light Luminaria Lighting Bedrooms Lamp Battery Powered Children Light USB Color Change. Here you can find products like Remote Switch, Dimmer Switch, Touch Switch, Smart Socket, and Wi-Fi Switch. Remote Switch: This is one of the essential parts if you are using an electric curtain. Right now, among the many products of Zemismart, you can go for ‘EU type Blind Switch Work with Google Home Alexa Wifi Support APP Control For slide or Roller Curtain Motor.’ It will cost you around $26. Dimmer Switch: Another essential thing for your smart home. You can opt for the ‘Zemismart EU Dimmer Switch Touch Switch Work with Alexa Google Home Support Timer Brighter Control Home Automatic’ at a price of $23.58. Touch Switch: Now, the touch switches always look cooler than the physical switches. 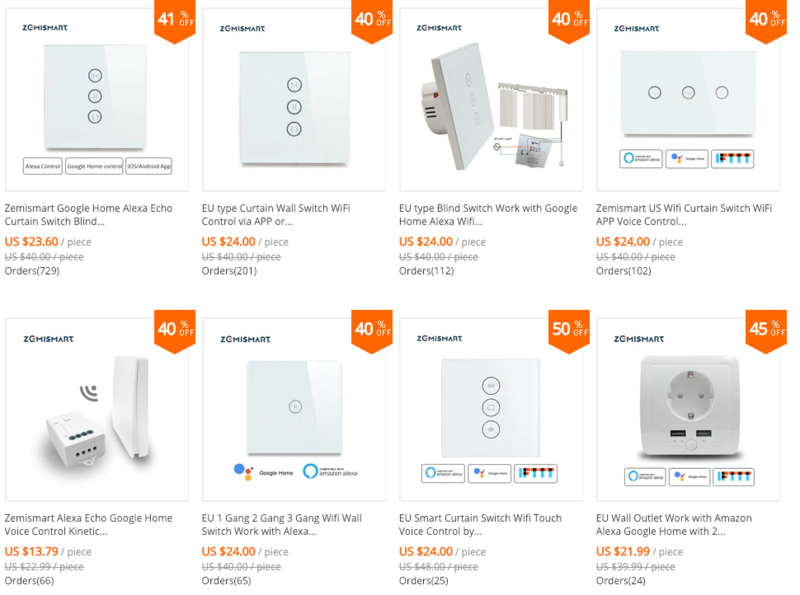 Go for the ‘Zemismart EU 2 Gang Lighting Switch White Black Crystal Glass Panel Touch Switch for Smart Home System with Feedback White Black’ at an affordable price of $21. 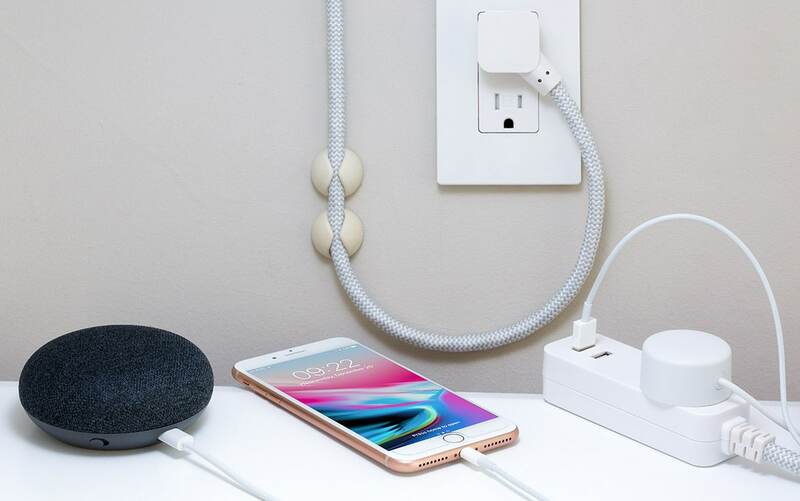 Smart Socket: The smart sockets are really liked a lot by people now. Zemismart has the best collection. One of the top products is ‘US AU Type Touch and Remote Control Socket Outlet with Feedback RF 433 MHz Switch Smart Home Compatible with Broadlink RM Pro’. It will be in your pocket at the price of $28. Wi-Fi Switch: There are many to choose from. You can try the ‘EU Curtain Switches Blind Switch for Standard Roller Motor Slide Engine Google Home Assistant Alexa Echo Wifi APP Control.’ The price is only $25.20. Check the above PRODUCTS HERE. Should you go for Made in China Products? Technology is taking over us, and it is time that we evolve with modern technology and use it in our daily lives. Zemismart is a company who is always willing to put their best foot forward for the welfare of people with their great products. The quality is always awesome. They sell their products to many different countries across the world. So, be modern, be stylish, and choose Zemismart.